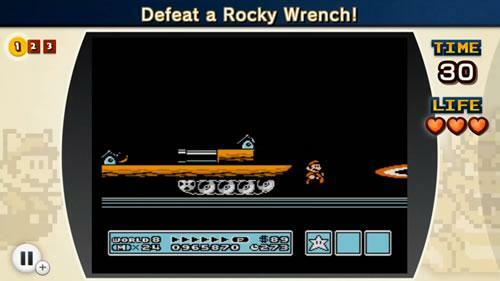 There are sixteen Super Mario Bros. 3 challenges in NES Remix 2 for Wii U. Each challenge is broken down into little stages; they start out really easy as you'd expect but they do get more difficult as it goes along... anyone can beat these challenges, however I don't believe 'anyone' can easily achieve rainbow stars in every challenge without at least a few attempts. 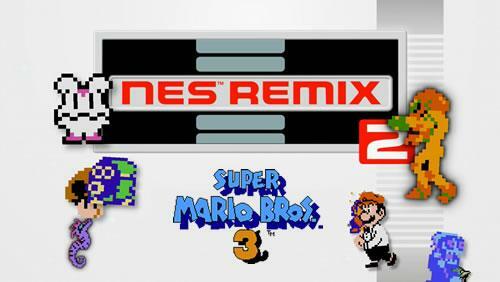 Trivia: Did you know in NES Remix 2 you get ten bits for every post you make? Heres a little guide to go with our video of what you are going to encounter, I've included what my best times were on there... I'm not the best but I should be a good guide of what an average player should be getting. Some people on Miiverse smashed me on a few of them..
You have to pick up ten coins as quickly as you can during a freefall with the Superleaf powerup... the more you use the racoon tail and slow your fall the less likely you are to get a good time. Challenge 2 - This ones a brutal Goomba killing spree. Take out the Giant Goomba by jumping straight onto the Giant Red Koopa Troopa and kicking the shell straight at the Giant Goomba. Challenge 3 - A speed-coin collection challenge. 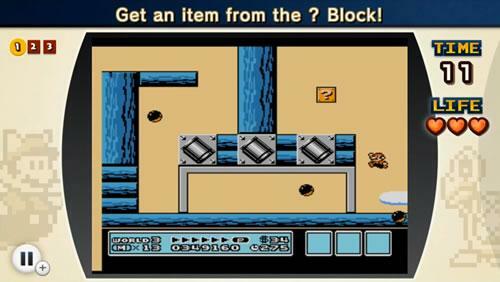 The final part is a bit of an ominous room full of blocks, you need 20 coins as quick as possible, stand on the bottom middle solid block as far right as you can go without falling off, jump once to destroy the block that stops you getting to the P Switch, jump again and hit the P Switch, grab the coins as quickly as possible and stand underneath two of the blocks (The ones that turn back into coins when the P switch wears off) and get ready to jump to grab the last two. I've redone this about 10 times and got exactly the same time, but someone on Miiverse has beaten me by 0.01 Seconds and I just can't match it. Upsetting. Punch from below and hop into Goomba's boot. 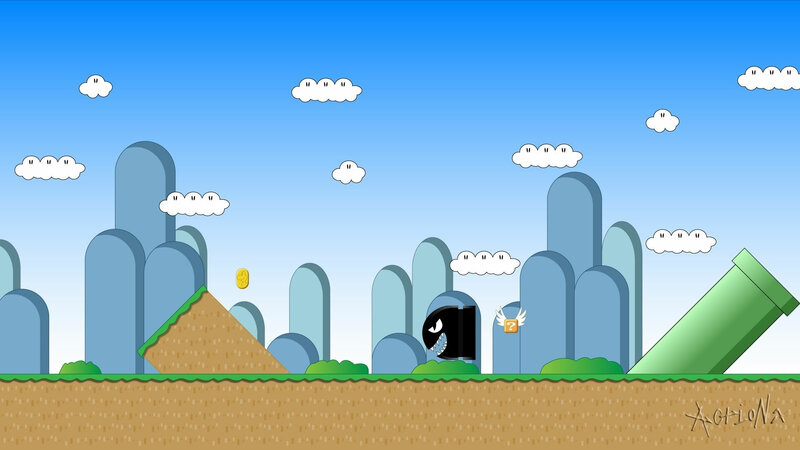 Move VERY slightly to the left of the starting position and jump just before he lands. This will knock his boot to the right hand side and should save you about a second. 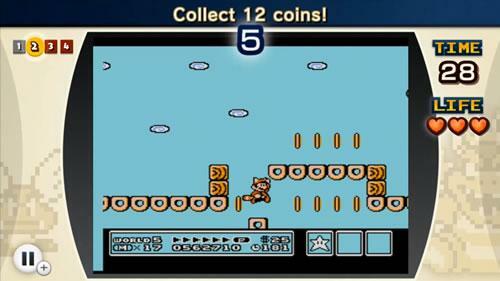 The final bit is the hard bit, you have to collect 11 coins as quickly as possible - to do this you must jump from enemy to enemy and successfully grab each set of three coins in one shot. This part of the challenge I found quite difficult. 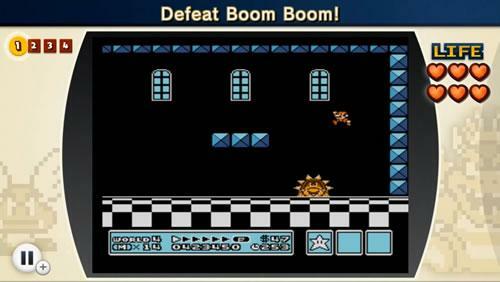 Beat up Boom Boom, if you time it well enough you can take him out in under 5 seconds, time your landings for just after his defensive spikes have gone back in. 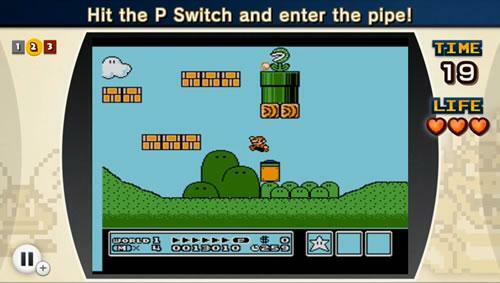 Using the floating blocks reach the very top pipe as quickly as you can. When you jump whilst on the floating block it changes from vertical to horizontal movement. The tip to getting the best time is to jump off the block and be on your way as quickly as possible. Some people on Miiverse had like 2 and a half minute times on this, then there was one guy who had 23 seconds, I can only imagine that he jumped off the blocks extremely quick and or jumped straight through one of the Piranha's?? Respect to him all the same. 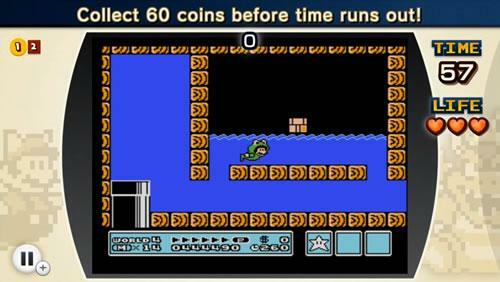 Collect 60 Stars as Frog Mario, swim to the block that floats just above water level, punch it and hit the P switch, grab 25+ coins as quick as you can and swim to the next bit before the P Runs out, punch through the layer of bricks and get grabbing til you get 60. 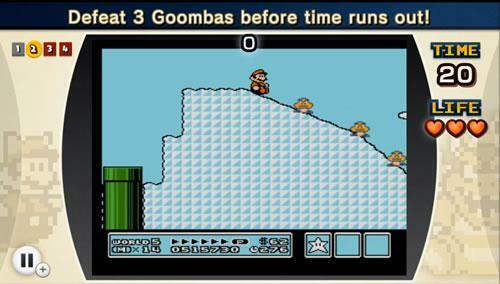 Hit the Koopa three times to get the magic wand back, if you miss an opportunity to jump on him you pretty much blow the chance of a purple rainbow star. Challenge 9 - Burn them all!! 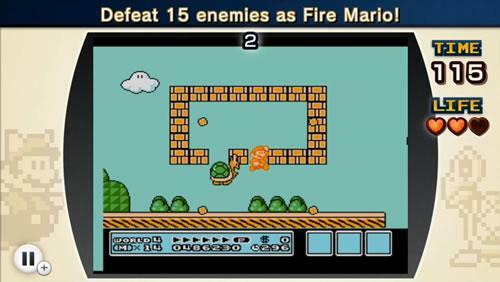 Defeat 15 enemies as Fire Mario, the Giant Koopa Troopa in the square of blocks at the start is key to your success here! 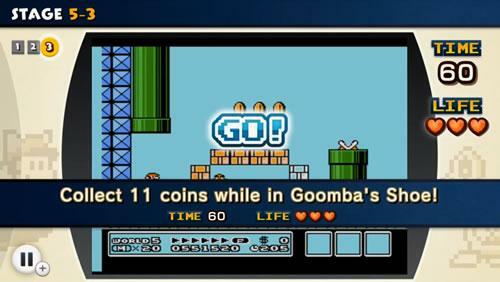 Collect six coins without falling between the icy blocks to your doom. A bit of well-timed racoon tail hovering will get you through this bit. 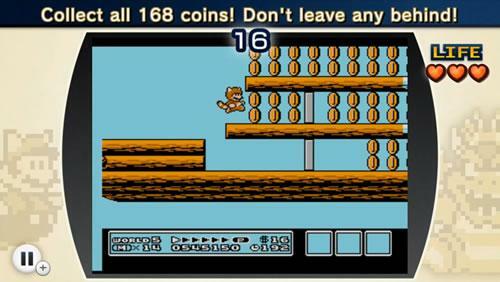 Jump straight onto the unstable bridge and stand between two blocks, in a position so when you fall you can grab two coins, do this twice, and on the third go you should have enough coins that you can hover with the racoon tail into the last coins you need... sure you would fall to your death straight after you pick up those final coins, but in this case it doesn't matter. This is the stage of the challenge that can slow you down if done wrong / Jump and fire, jump and fire!! Don't let Boss Bass eat you, run and grab all the coins near the P Switch, dont press the P Switch until you've took all the coins immediately around it, then grab the next 3 and you are done. Defeat Larry - Don't miss an opportunity to jump on Larry's little head, or the rainbow stars will slip away before your eyes! 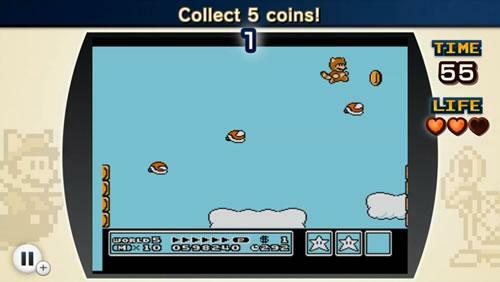 In your Tanooki suit use your flying foes as platforms to grab five coins. It's best you watch the video for this one. Challenge 13 - Star run! 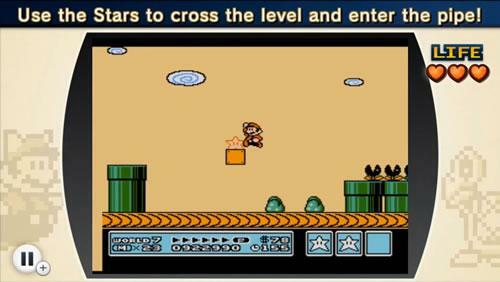 Grab the star and start running, ignore the first question block you come to after that and grab the star from the second one, it doesn't hurt to get hit once and become small Mario so you can get under the low pipe easier later on. 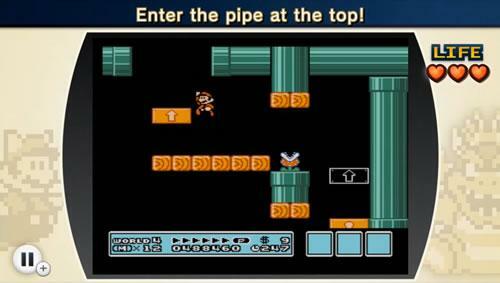 Grab the next star from the question block with the normal blocks to the side of it and make a final run for the pipe. This can be done quicker than my run if you have the reflexes/time to repeatedly do it so that none of the pipes slow you down and you can jump straight through them. Someone did it in 16 seconds on Miiverse! Kill the Boomerang Bro! I let him throw his rangs' first... and then jump on him to be safe. What more can I say, the tip to making good time is when you hit him once, time your jump so you land right on him just as his spikes go back in - before he even gets the chance to move or react. The final challenge is you vs. Bowser, one on one! apparently the floor is a little weak... unlucky for someone I'm sure! 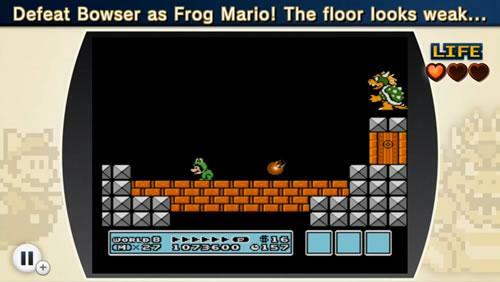 I found the easiest way to defeat Bowser was to make him jump on the furthest bricks to the left (the ones that have no grey stone blocks under them). Avoid his fireballs and bait him into jumping into this area twice, the second time he'll fall through the floor to his doom. And there you have it, the sixteen challenges in NES Remix 2 that are based on the NES classic Super Mario Bros 3. Personally the challenge I found hardest here was Challenge 14 - The Convoy Melee, I don't know if its because I'd already been playing a while by the time I got to this one... or just the fact that theres so many things trying to kill you at once that made it more difficult! I also found the last part of the Goomba Boot challenge quite hard to get the rainbow stars, you really have to bounce off some enemies! 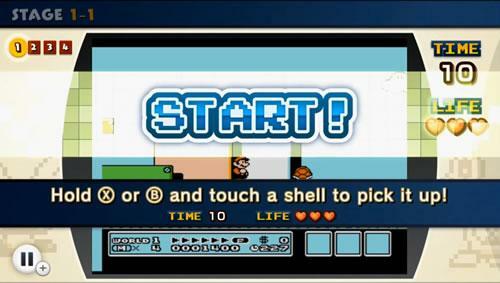 Anyway, I hope this little guide helped you guys... let me know which of the SMB3 challenges you found hardest and why? 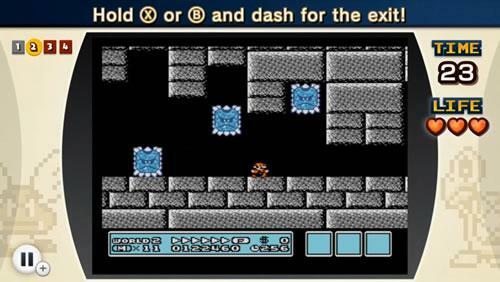 Maybe you should check out our guide to the Super Mario Bros. 2 challenges in NES Remix 2 if you got some time on your hands!